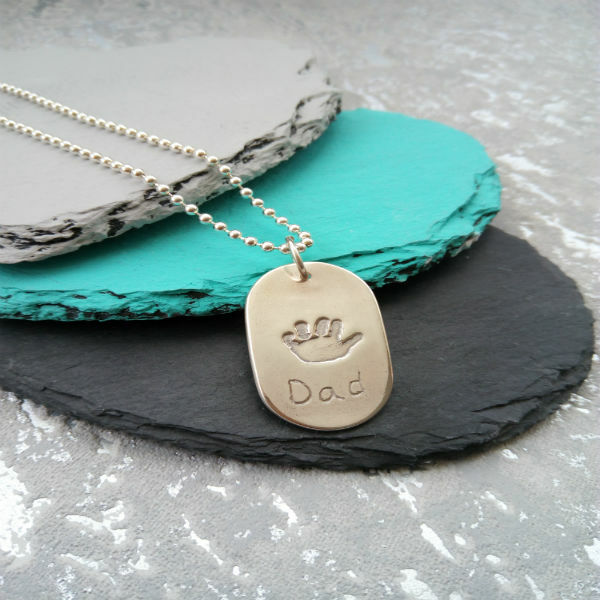 Capture your child’s handprint onto this gorgeous Handprint Dog Tag Necklace. 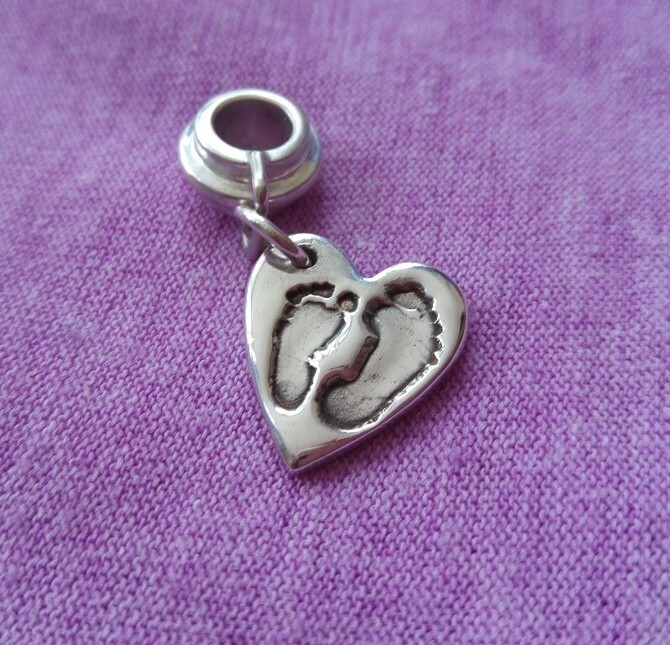 Made in Solid Silver, this charm can fit up to two prints and two names. This Dog Tag Necklace comes with a 21 inch Ball Chain, ready to wear. 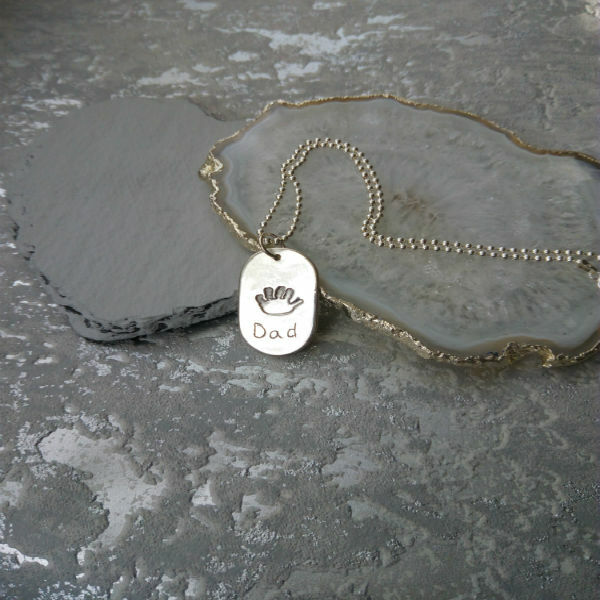 A long lasting gift for any doting Dad to treasure for a lifetime. Can I add names or a date to my charm? 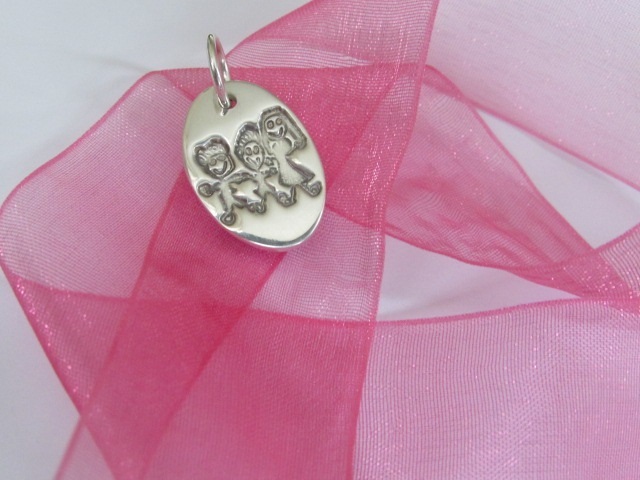 Yes names/dates can be added, the number of names possible will depend on the size of the charm. 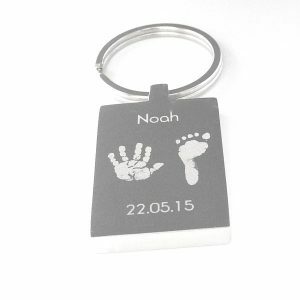 Personalisation details can be filled in on the order form we send you. I would like a different shape for my charm, can I change it? Yes you can. 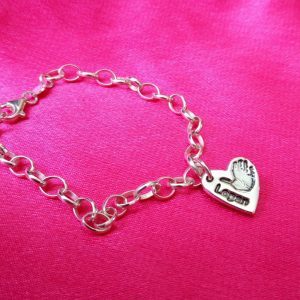 Have a look at our Charm Shapes here. You can change the shape of your charm on the order form we send to you. Will you send out a fingerprint/Handprint/Footprint Kit with my order? Yes, a print kit with full instructions will be sent to you when you’ve placed an order. Can I change the style or length of the chain? Yes, just let us know by making changes on the order form. 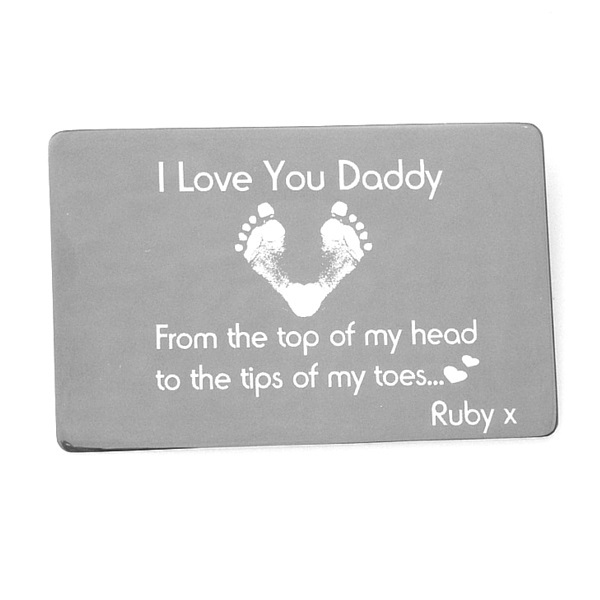 If not contact us on info@truelovekeepsakes.co.uk or send us a message via Facebook or Instagram. Alternatively, read more information here on our Frequently Asked Questions page.